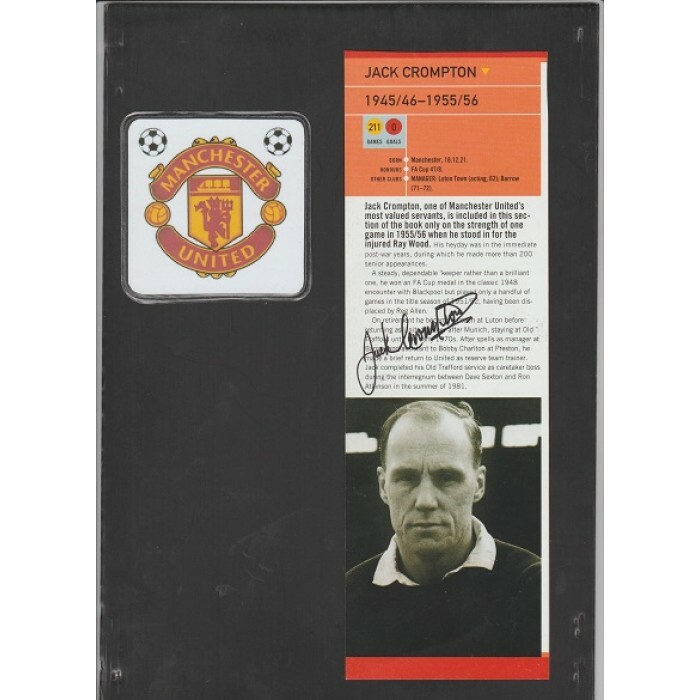 Signed picture of Jack Crompton the Manchester United footballer. 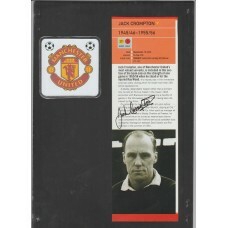 Home » Signed picture of Jack Crompton the Manchester United footballer. Jack Crompton. This is a really fabulous picture of Jack Crompton the Manchester United footballer. This is an elongated postcard size item that has been taken from the Manchester United Players by Players football book. The autograph has been hand signed by Jack using a fine black sharpie. Manchester United goal keeper Jack Crompton played 191 league games from 1946 to 1955. He was their goalkeeper when United won the 1948 FA Cup Final beating Blackpool 4-2. Sadly Jack Died on the 4th July 2013. Lovely collectors piece and priced to sell.